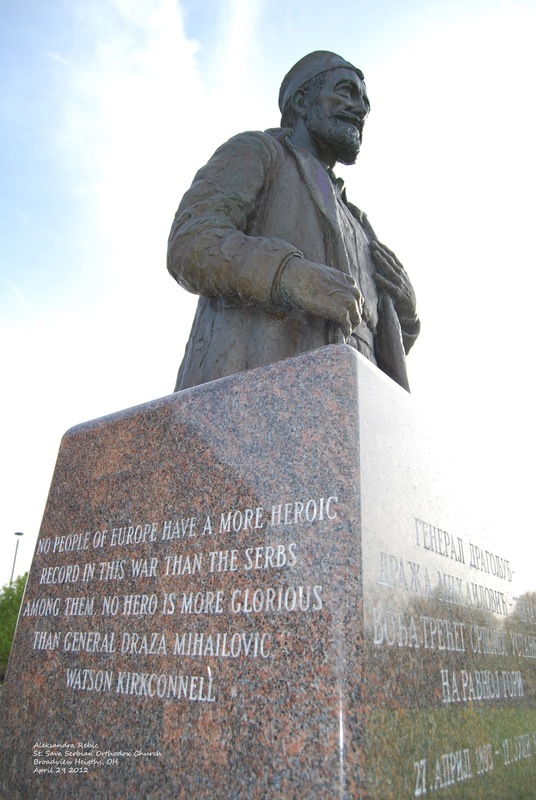 This is a portrait sculpture of a World War Two Serbian Freedom Fighter named Draza Mihalouic. 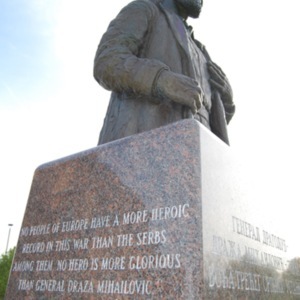 He was a Yugoslavian Army General who organized and lead resistance forces against Nazi Germany, which occupied Yugoslavia from December 1941 to December 1944. 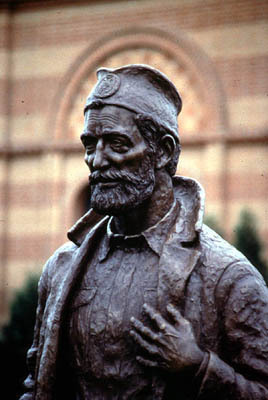 Through the undaunted efforts of his troops, over 500 United States airman were rescued from the Enemy Occupation Forces in Yugoslavia during World War II, and returned safely to friendly control. He was awarded the "Legion of Merit" award by President Harry S Truman. : Ron Dewey, “Draža Mihailouic,” Ohio Outdoor Sculpture Inventory, accessed April 22, 2019, http://oosi.sculpturecenter.org/items/show/912. Exterior sculpture on the northwest side of the church.